Yesterday was the final farewell to Michael Jackson. Nicole Richie, Joel Madden and father Lionel Richie attended the memorial to honour Michael. Lionel Richie was one of the many stars who took to the stage to sing for Michael and celebrate his life. I thought the memorial was so sad, especially when his friend Brooke Shields spoke, his brother Jermaine sung and his daughter Paris spoke at the end. 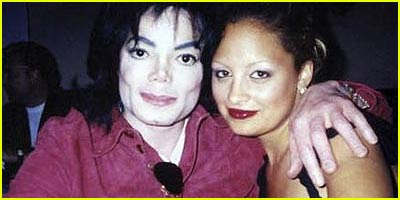 Many know that Michael was Nicole Richie's godfather and here is a few pictures of them together .. It was a beautiful memorial. I loved the fact that finally the media had to be silent and couldn't say anything negative about Michael. It was wonderful that they had to show him as a real person. If only they had done it when he was alive. My thoughts and prayers to you and your family and the Jackson family. We were so fortunate to attend the event at the staples center. It was absolutely lovely, I don't think there was a dry eye in sight. It opened up the world to Michael the person, not so much the pop star, but the father, friend, brother, uncle...etc. They really did a lovely job and we continue to send up prayers for his family, and especially for his childrens best interest in the next few weeks of decision making.